I did a spontaneous and quick trip to the Swift. I spent most of my time Euro-nymphing. I had tied some new patterns and wanted to test them. When the flows are up, it makes for ideal tight-line nymphing in certain stretches. 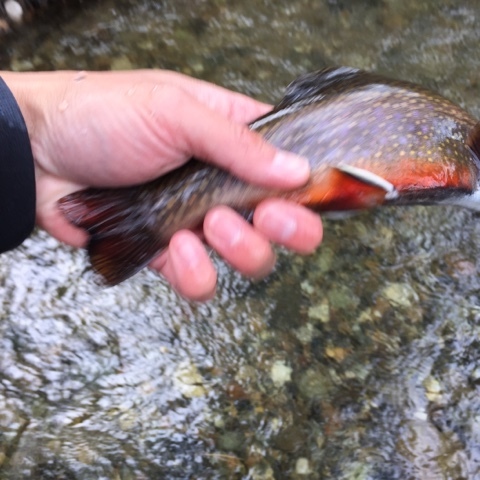 I landed seven rainbows, quite a few fingerling brookies, and about five good-sized brookies. The brook trout were everywhere. And, so were the anglers. It was fun to catch up with George from Orange, MA, and run into Wooly Bugger George. Waved hello to Bill R. from afar, as he was leaving. In one spot, I fished next to Dan Trela. A great guy. As you may know, he is a legend. If you are looking for highly effective flies and gear, contact him. 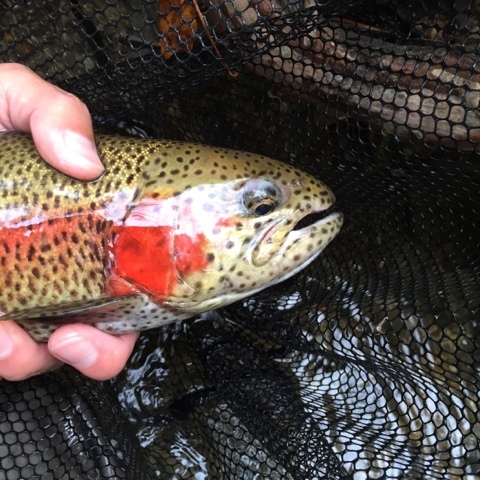 He fishes every day, samples the bugs, and ties flies based on his research. Dan does business the old-fashioned way. No website, and he doesn’t ask for a deposit for any custom rods that he builds for you. He also is very affable, approachable, and an open book on techniques. A true master of his craft. You can contact him at 413-967-3430 or TrelaRods at comcast.net. Gorgeous wild brookie who is certainly getting prepared for the spawn. Great to hear you catching numerous brook trout of all different ages, which shows how the swift brook trout seem to be doing alright. Just amazes me how they can persist despite all the angling and stocking pressure. Unfortunately they will inevitably get their redds trampled this fall, but hopefully some come out unscathed, so the next generation can continue.